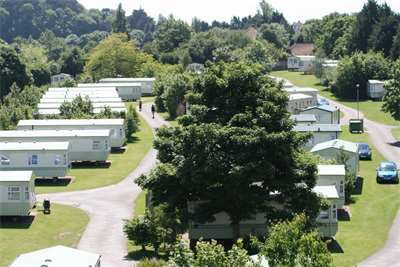 This NCC Electrical Commissioning of New Caravan Holiday Homes - Foundation Level course is aimed at persons with limited or no previous knowledge or experience in electrical work. The priority of this course is that safety is paramount, and throughout close attention will be paid to safe working practices, including risk assessment, that protect the trained person and any other persons who may be affected by their work; including park staff, guests and visitors. On this two-day beginners course, the learner will be restricted to inspection only, without dismantling or with partial dismantling as required. To achieve this outcome training will provide for the proper use of PPE, adequate quarantining, safe isolation and proving dead. The first-attender section of this course will include recognition of overcurrent and earth protective devices, together with protection of the person against the risk of electric shock from direct contact with hazardous live parts. This part of the course is complemented with proper inspection of suitable barriers and enclosures, together with the inspection of particular protective measures for special locations and external influences, for safety purposes. For the commissioning part of this course, persons will be trained in the safe use of electrical test instruments, test parameters, documenting results and interpreting certification documentation. Testing will be divided into two parts: dead tests (following safe isolation and proving dead) and live tests. Throughout this part of the course persons will be instructed on proper testing methods without dismantling or partial dismantling. Course achievement will be measured through a combination of continuous assessment and application. No formal written test will be required. If you are interested to host this Foundation Level course on your park, please contact us for details. We are able to offer bespoke training to all your engineers or you can take advantage of our live availability shown on the right-hand side of this page. If you cannot see what you are looking for, please contact us as we are always planning additional courses and you are welcome to add your details to our waiting list for your region. Download our PDF to help you choose the right course for you.